Together we rise and make a wonderful future of Karachi beach! A high quality Event by Karachi Port Trust. 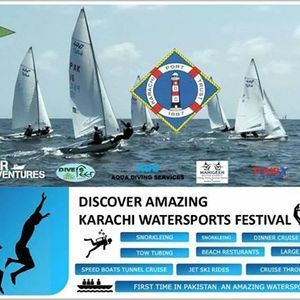 The biggest water sports festival in town specially island tours. 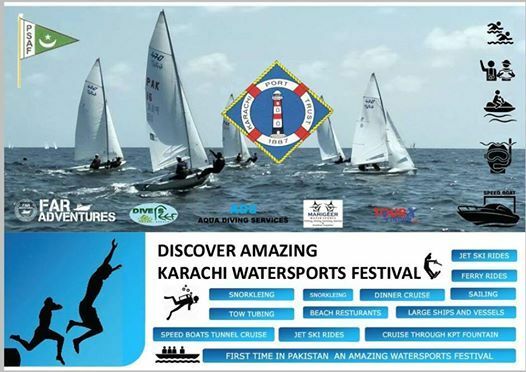 We feel pleasure in informing that Karachi Port Trust & Far Adventures is organizing a Mega Watersports & Family Festival “KPT Karachi Water Sports Festival – 2019” from 22-24 March, 2019 at KPT South Wharf (Oyster Rock Island). This Water Sporting Event combines with range of Water Sports Activities including Jet Ski Ride, Snorkeling, Scuba Diving, Sailing, Tow Boating, Speed Boat, Island Tour, Ferry Rides, Exhibition of Large Ships & Vessels, Cruise through KPT Fountain and Beach side Dining Restaurant, Dinner Cruise, Kids Activities, Beach Games, Tropical Beach Concert, First-ever Island Cafe, Food Festival, Zoo, Horses, Camels, ATV Track and a lot of excitement ... See you there!